RUSH: All right. Let me lead off by telling you this Corker stuff doesn’t matter. It’s good theater, but it doesn’t matter. (interruption) What? How do you think it matters? What do you think…? (interruption) No, no. Folks, I’m serious here. I’m using intelligence guided by experience. This is a repeat process of something that’s been happening ever since Trump was inaugurated. Hell, ever since Trump announced his candidacy! There’s the pattern here. Greetings. Great to have you. Rush Limbaugh, your guiding light, America’s Real Anchorman, soothing and calming a chaotic nation with dulcet tones — rhetoric and resonance spreading coast to coast via the Golden EIB Microphone here at the Limbaugh Institute for Advanced Anti-Media, Anti-Leftist Studies. (laughing) Telephone number… (interruption) Snerdley says, “You got through that without stuttering.” I don’t stutter. Sometimes I speak faster… Well, I think faster than my mouth can keep up, but I don’t stutter. The telephone number is 800-282-2882 if you want to be on the program. All right, folks, there’s a pattern here. This endless torrent of news — and it isn’t news. There isn’t any news. In fact, the news is not being reported, and, because of that, a lot of good things are happening and are sneaking by underneath the Drive-By Media radar. So here’s the pattern. An endless torrent of news that we have been deluged with since the coming of Trump, and it’s just repetitive as it can be. Only the minor details change. The general outline is almost always the same. Trump has said or done something “outrageous” or somebody says something critical of Trump, and Trump responds to it — which is then characterized as deranged, unfocused, outrageous. And his supporters and the GOP in the country will never recover from it. Every incident we’re told, “This is it!” Every incident, “Trump’s done it now! Trump has stepped over the line this time.” I mean, every time they tell us this. I don’t know how many lines they’ve drawn, but Trump has stepped over all of them. And, in the process of stepping over all these lines, he was supposed to have been destroyed after stepping over each one. Trump has self-destructed so many times here that there actually (laughing) is a lesson in self-preservation. But the pattern, it just never stops. Somehow, everybody recovers. Somehow, life goes on. Somehow, the chaos continues; the angst continues. But the cycle repeats itself over and over again, and each time the event happens, there are people on both sides who think, “This is it! This is the worst. It’s over. Trump has really stepped in it this time,” or the left has stepped in it or something. And yet everything just keeps going. Now, as you know, I tend to see things optimistically. There are times it takes an effort, requires an effort to do that. But in a way, maybe — just maybe — and I know there’s some people that disagree with me on this… Look, I know some people that love Trump from the get-go, and they supported Trump from the get-go, and they still do. But they’re disheartened. You know why? ‘Cause they want everybody to think of Trump the way they do, and they thought it was gonna be possible. I know maybe three people who are not down on Trump in a direct way, but they were thinking that all of this would have died down by now and that the country would have become unified and it’d be what always happens: We give our presidents a chance. And that isn’t happening here. I try to tell these people, “You’re living an illusion if you think that the country unifies or the media and the left unify — particularly around a Republican president — and give the guy a chance. It just doesn’t happen. It never has happened. But there are a lot of people that had so much hope that Trump was gonna be able to come in — and you know what their hope is? You know where it resides? It resides in reality, that Trump’s agenda is exactly what America needs, that Trump’s agenda needs to move — including tax cuts for everybody. But everything in the Trump agenda needs to move forward. And these people that I’m referring to have the… I guess it’s a hope more than a belief that once that agenda is enacted and that the circumstances or situations in the country do continue to demonstrably improve, that all of the criticism and chaos and destruction will end. I’ve had to tell ’em, “You’re pipe-dreaming. That’s never… The more successful Trump is, the more insane his opposition is going to be. They’re never gonna come around on anything here.” If you’re using… I’ll just tell this to everybody: If you are hoping for normalcy, however you define it… Like, do you think the Bush eight years were normal? Well, maybe you think the first four years, but how about…? (interruption) You think they were normal compared to this? Okay. Were the eight years of Clinton normal? When I say “normal,” I mean, you got up; you went about your day. Whatever was happening in Washington, you knew it was there. You maybe got irritated in some of it and it kept you engaged in all that. But when have we ever had what you think is normal? A lot of people define “normal” as no fighting, no disagreeing. Normal is people getting along. Those days, I don’t remember them. I don’t remember those days. So this quest for normalcy? I understand it, and I understand the desire that people — particularly the opposition to Trump — just wear themselves out. You know, just finally wake up one day and not have any gas left in the tank, and they just shut up and go away. It’s not gonna happen. (laughing) It just isn’t going to happen. The opposite is gonna happen. The more successful Trump is — and, you know, trying to explain the state of derangement, I went back. Let me see if I can find this very quickly. I went back and looked at some polling data and screenshots of some of the Drive-By Media before the election, like two/three weeks before the election. Excuse me here. There’s just one piece I’m missing. I had not intended to do this now, which is why I’m having trouble finding it. But just give me… (sigh) We’ll get it. It’ll pop up here when I least expect it to pop up. Anyway, here’s one of them. This is a screenshot from October 23, 2016, one year ago yesterday. It is the New York Times’ presidential forecast, and it has a picture of a smiling Hillary and kind of a cocky Trump. They’re just head shots. Hillary Clinton has a 93% chance to win. Donald Trump at 7%. This is October 23, 2016, at 12:30 p.m. Here’s the other story — and I was gonna do this talking about the Virginia race, the governor’s race. The polling on that race is very tight. It started out with [Ralph] Northam way, way, way in the lead, and now the Republican Ed Gillespie is inching up — and, in fact, in a couple of polls has pulled ahead. But I don’t pay any attention to those, and here is why. Now, here’s October 23rd, one year ago, New York Times: Hillary Clinton: 93% chance to win. This is like a… It’s a tweet, is what it is, with a giant blue square — the graphic — with Hillary and Trump’s faces on there. It’s 93% under her face and 7% under Trump’s. Remember, these people bought that. I mean, they really thought it was gonna be a landslide. Then there’s this, and this is from the August 24th CBS News story, 2016. So this is October… Two months before the election. “CBS News: Another survey released Tuesday by Reuters found Hillary Clinton with an even bigger lead of 12 points, leading 45% to Trump’s 33%. A third survey released…” This is my newsreel voice, by the way. The old Movietone newsreel voice, when you saw the news between double features in the movie theater in the 1960s. Iowa, Trump won it by nine points, 51-42. That’s why I ignore the polling. Look at how bad it was. It was universally bad and wrong across the board. But they all believed it! Now, there’s this big thought out there that the Republican Party is in the midst of a civil war. That’s not correct. The Republican Party is not in the middle of a civil war. Ninety percent of Republicans voted for Donald Trump. Ninety percent of Republicans voted for George W. Bush. Ninety-three percent voted for Mitt Romney. Where is the disunity? There is some. But the civil war is not in the party. The civil war is between the people of the country and the Washington establishment, members of both parties, and that’s what’s being demonstrated here in the latest Corker-Trump kerfuffle. It’s a repetitive process, and it hasn’t changed. Since Trump… Actually, you could go back to the campaign if you wanted to for the starting point. You could go back to election night and the transition, but it’s more convenient to start with Inauguration Day. But it never changes Trump’s support within the Republican Party. None of it ever changes Trump’s support in the Republican Party. However, Trump won not with just Republican votes. He needed some Democrats and independents, like Reagan did, and he got them. But he didn’t get them because he convinced or I convinced or anybody else in media convinced those Democrats to vote against Democrats and vote for Trump. 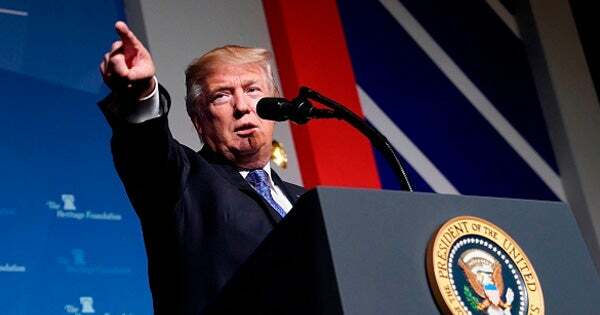 Trump got those Democrats on the basis of his agenda, and on the basis that there are a significant number of Democrats that are fed up with the Washington establishment, too, that you never hear reported and you never hear discussed because the Drive-Bys are not even able to comprehend the concept that people are upset with Washington. I mean, they know it, but they don’t take it seriously. They are Washington, and what the people think doesn’t matter to people inside the Beltway. The only time those people matter is on Election Day and maybe during the campaigns. But in terms of actually ascertaining what those people, what the American people really think and really want, that’s not relevant. So the Drive-Bys have missed that enough leftists — well, I don’t want to call them leftists. Enough Democrats, Reagan Democrats are also fed up with the ruling class that Trump’s agenda appealed to them. And there hasn’t been any erosion in this. I don’t care… They’re trying. They’re doing everything they can to split Trump up from the people that voted for him. But it hasn’t happened because they can’t do it. They had nothing to do with assembling Trump’s coalition, and, as such, there’s nothing they can do to destroy it. Now, they don’t know this. That’s why they continue to try. But one of the things that’s happening while they repeat this endless cycle, is they are distracted so much by trying to destroy Trump that they are not noticing all of the good things or the improving things that Trump is accomplishing. They’re not interested. The media has been so distracted resisting Trump that they have let a lot of Trumpism slide by without noticing. The stock market seems to be noticing. It continues to break new records. Despite the media, despite the resistance, despite the Democrat Party’s efforts to talk the economy down, it just keeps roaring along. Trump’s policy on immigration continues to be implemented simply by virtue of enforcing the law. All these things are happening while the media is doing their best to destroy Trump. They’re missing this — which, as I say, may not be a bad thing. There’s a point to all this in terms of the cycle that we’re living through and what it really means and what the real fight going on in America is really all about. RUSH: Now, don’t misunderstand. I’ve got people sending me emails. Actually, I’ve got people sending me emails with lots of questions. “What do you mean, downplaying the Corker thing? That’s a…” I’m not downplaying it. The Corker thing, which we’re gonna get to in due course. I mean, I’ve got all the sound bites here; I’m just getting revved and ready to roll them out. 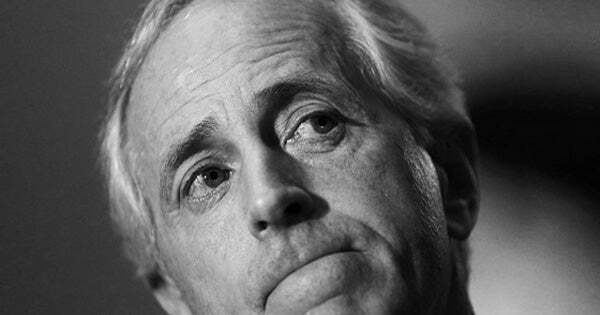 The Corker thing is very, very important. You know why? Strip everything of the substance, the content of this out. What does it show? It continues to show that Trump is not going to just sit and let some people trash all over him. He’s not gonna permit it. He doesn’t care who it is. It could be somebody that you would largely think is small fry and irrelevant or it could be a United States senator. It could be McCain; it could be Corker. He’s not gonna sit there and take it, and I’ll tell you what needs to happen. I have a story somewhere in the Stack. I think it’s at EPA. Somebody at the EPA — not the secretary or the director. Somebody at the EPA is pushing back against a bunch of leftist drivel, and it’s beautiful to see. Trump is indicating a behavior here that a lot of people say, “Oh, no.” My friends, for example, wish this stuff would stop. “I just want it to normalize.” No! This is what pushing back looks like. You know, if you elected Trump to fix some of this stuff — if you wanted an outsider to come in — this is what it’s gonna look like. It isn’t gonna be pretty. The other side’s not gonna sit down and take it. They’re just not. So Trump pushing back, I think, continues to offer a recipe, a solution for others. Can you imagine if there were more than just Trump pushing back against these people on the left? It would be a beautiful thing. Now, there’s also some substantive matters in the Trump-Corker feud. RUSH: Here’s Trump, by the way. Trump had a Minority Enterprise Development Week awards event at the White House, and he made the point here that I just made, that the Drive-Bys are ignoring all kinds of good news because they’re so focused on this repetitive cycle of, “Somebody says something; somebody does something. Trump reacts to it. Now let’s destroy Trump,” that they are ignoring other things, which may not be a bad deal. The Drive-Bys not trying to talk down the economy like they did try to talk down the Iraq war, it may ultimately be a good thing. THE PRESIDENT: A recent Department of Labor report showed the fewest jobless claims since 1973. Think of that: 1973. We just had a report. We have the fewest jobless claims. My administration… I don’t think the press… I tell that because the only way I’ll get the word out there is if I say it, ’cause they’ll never say it. My administration is deeply committed to powering minority business owners. We’re working to lift government barriers so that you can thrive, prosper, and grow. And speaking of growing: Our stock market just hit another record high. It’s the highest it’s ever been in history by far. We’ve created about $5.4 trillion only in stock market value — $5.4 trillion — and we’re very happy about it. And a lot of jobs. You know what if all boils down to is — we had this yesterday from Lindsey Graham — these people trying to take Trump out still do not know why he won. In their minds, it’s a fluke. In their minds, it’s Russian collusion, Trump with Russia, or it’s some kind of a fluke or there was cheating or beyond Russia or something. They haven’t yet… I’m serious. They haven’t yet accepted the reality that Hillary literally lost, that she wasn’t cheated, that there wasn’t any chicanery. She legitimately lost — and because they can’t yet accept that, they are nowhere near understanding why Trump won. So they believe that they can take Trump out the way they have taken out previous Republican elected officials. And they’re not making any progress. Despite how it may appear on TV with the mood, the narrative so-called every day, they’re not succeeding in this.